The inspiration for the Beomaster 900 came from the brains of Henning Moldenhawer. The first product of the new era was launched in 1964. 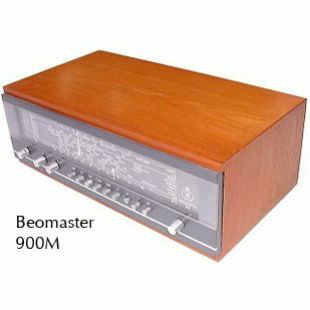 Beomaster 900 was a fully transistorised radio with FM stereo radio. 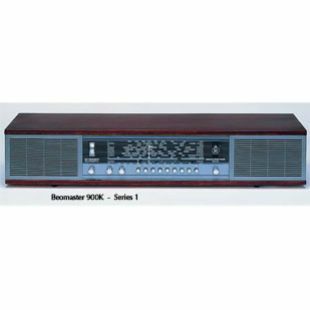 It was even launched in a version with two built-in speakers - Beomaster 900K - making it clear to everyone that it contained two independent stereo loudspeakers. Bang & Olufsen wanted to design a product so unique that it would open the doors to distribution throughout Europe, in the same way as the “Five Lamper” had done in Denmark 30 years earlier . The most remarkable aspect, however, was not in the technology, but in the design. Transistors, which are small compared to radio tubes, generate less heat. As they require less space to release heat, transistors allow for radically different cabinet designs. The architect and designer, Henning Moldenhawer, knew how to exploit this. He designed the world’s first low, flat radio cabinet, creating a radical innovation in the process. From practically one day to the next, the good old tube equipped radio had become obsolete. Now it was transistors, not tubes, which for the first time would be powered from the mains. While the sound was improved, the loudspeakers also underwent significant changes, becoming more compact. After all, in those days, loudspeakers were foreign elements in the living-room. This was achieved with the pressure chamber loud speaker which reproduced sound of a quality which had, until then, only been possible with far bigger boxes. A long, low and fully transistorised mains radio, which played immediately – with no warm-up necessary, as was the case with the radio tubes – was an achievement in itself. In addition, the design concept challenged all established ideas for radio design. The new Beomaster 900 marked a revolution. It was the architect Henning Moldenhawer who, for the first time in the history of radio, extended the front all the way out to the sides of the unit, breaking with the traditional framing of the front which all radios, TVs and loudspeakers had been using until then. This motif was retraced in Bang & Olufsen’s future design language. It was even repeated graphically in the company’s advertisements. Beomaster 900 became a European-wide success. At the same time – and much to the company’s surprise – its share of the Danish market did not fall. On the contrary, it rose significantly – at a time when the last of the remaining Danish manufacturers went to the wall. Proof indeed that design is not only for connoisseurs, but is a universal language, at least when applied with talent and as an expression of the product’s conceptual content, i.e. making the product itself a communicator. When, some years later, Bang & Olufsen explained its identity, this visually self-communicating aspect was dubbed 'Autovisuality'. Concept communication in terms of what the unit is and can do, communication between the unit and the user, but also identity communication between those who create the products and those who select and acquire them as well as between those who own the products.
" Beomaster 900K: This all-transistor mains-powered stereo radio will revolutionise your ideas about radio and was awarded the iF prize at the International Hanover Fair. 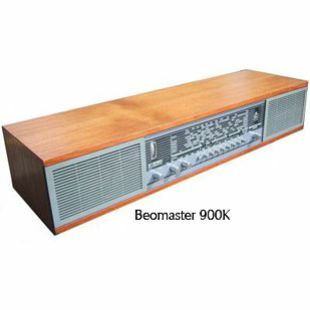 The Beomaster 900K is an all-transistor mains-powered stereo radio featuring a specially engineered highly-efficient dual-channel audio amplifier for reproduction of stereo gramophone records (delivers 2 x 5 watts of undistorted power output). It is prepared for single transmitter stereo broadcasts, having a B&O multiplex adaptor (stereo decoder). A Beo-Beacon pilot lamp lights up when the receiver is tuned to a station transmitting an FM stereo programme or when the receiver is switched to play stereo gramophone records or stereo tapes.